No doubt, Samsung Galaxy S7 has survived to win the millions of hearts all across the world with its amazing features. But there is yet lot more for you to discover. The fact is true that Samsung is one of the most known and the best company in the world that is famous for its amazing features and some surprises. 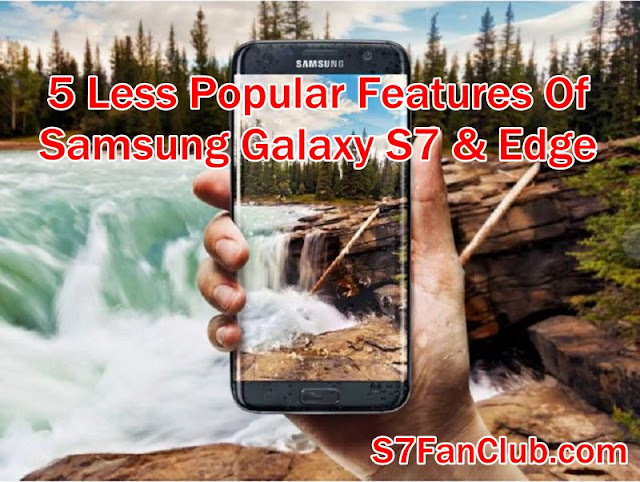 You can get a ton of reviews for the Galaxy S7 & Edge in a matter of second on Google but there is no one which can get you to know about some really Amazing Galaxy S7 & Edge Features. So for this purpose, I am again here to bring up the thing that is missing on the internet. Here is the list of Galaxy S7 Unique Features that you are yet not aware of. 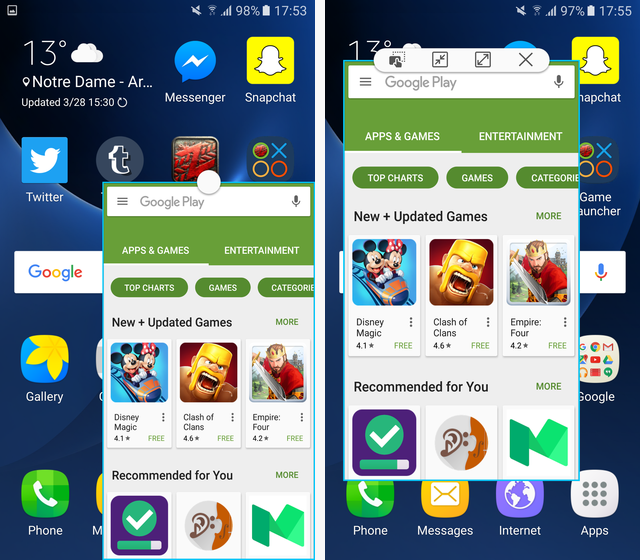 Split screen or Multi Window has been on the Galaxy phones since Galaxy S3 but most of the people are not aware of how to use it. This one is really helpful feature that can divide the screen into two halves. With the Split Screen feature, you can copy content from one app to another, or minimize or expand the current screen or also close the current app. Galaxy S7 has this feature and the easiest way to access this feature is to press and hold the Recent key when an app is currently being run on your phone. This feature is really unique and I recommend you to use it as stock Android still don’t have such feature. Same feature as that of the Split screen but this function is another one that is still not known by a number of people. The Pop- Up view is also known as the floating Window that will float above everything on your screen. There are three ways to open this pop- view on your S7 and the easiest way is to go to Settings, select Advanced Features, and choose the Pop up View Gesture and ensure it to be on. You can adjust the size of the window popped on your screen by dragging its corners. Not all the apps are supported to this feature but most of them are. Do you wake up on night to see the time on your phones? If yes, then you ought to have S7 that is having an amazing feature for you. 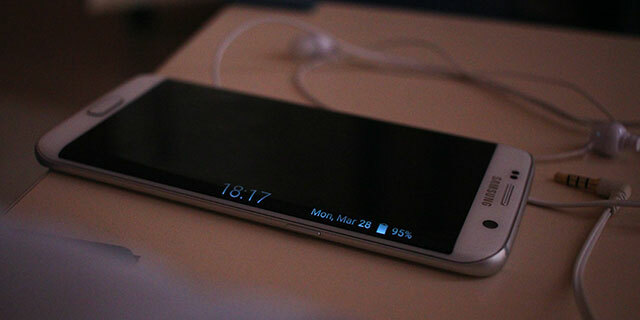 I am talking about the Night Clock mode that can show you the constantly glowing time on your phone. The easiest way to turn Night Clock on is to going to Settings, select Display, and select the Night Clock. Toggle it on to get benefited from the Night Clock on the curved Edge while your screen is off. You can view time with just a glimpse from your bed. You might have some app lockers to hide sensitive files, images or photos in your phone but the Galaxy S7 users should not have to keep such apps. 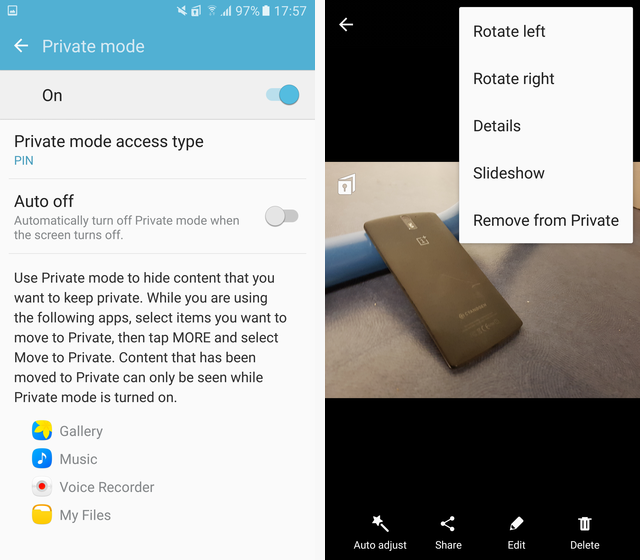 The reason behind the fact is that Galaxy S7 has brought about the built in feature of the private mode through which you can hide your sensitive files from the intruders. You need to go to Settings, Privacy and Safety and then to Private Mode to protect your files. You will need to set the Pin, Password or some code to get the access to these files. Do you end sending some drivel or non-sense message while your phone’s in your pocket? Or ending up calling to some person? If yes, then this feature is another amazing but hidden one that can save you from the consequences of such problems. 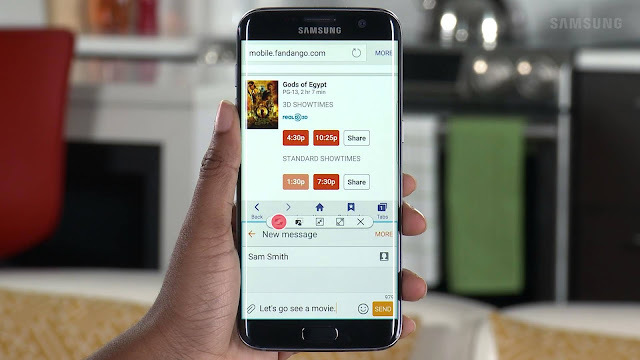 Samsung Galaxy S7 & Edge have proximity and some light sensors that make sure that your phone is in your pocket or your bag and keep the screen turned off for you. But for this, you need to get to Settings, Display, and to select the Keep Screen turned off to make sure it’s on. The Samsung Galaxy S7 and Edge are loaded with some prominent and some hidden features. Which of these features you found to be useful? Comment below to share your views.